yet another fantastic day on the water! 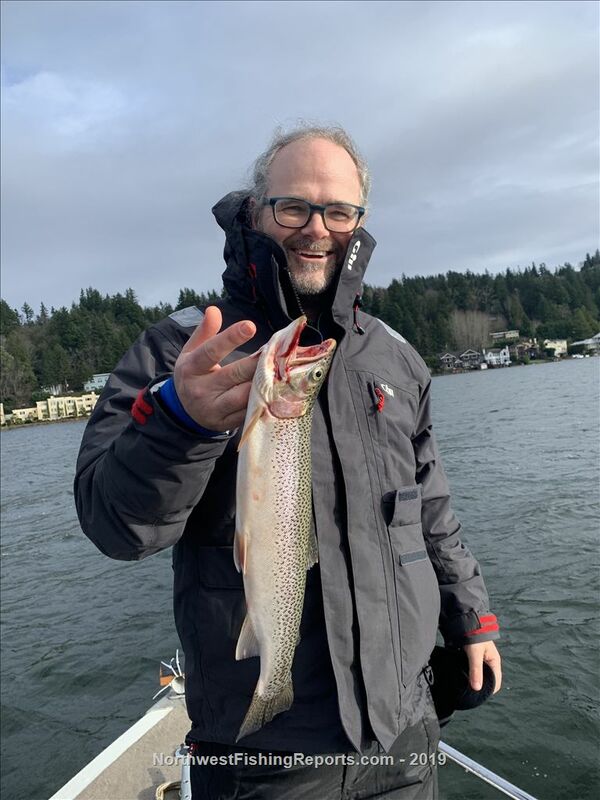 met up with long time clients and great anglers Joanne and Charlie, and we went out after coho and cutthroat and coho again and ended up finding some dandies. all coho were 12-16" and the cutts were 15-18". the bite came on Reli Lures Diamond flash spinners in 50/50 and red with sling blades and RMT 5.5 dodgers. if you are looking to get after some fantastic fighting trout with a coho bonus, give fast action a call! lake sammamish has been absolutely on fire and it should stay great for a while longer. the Midge hatch is in full effect now, giving great relief for many anglers who weren't sure if it would happen at all, however it was just a little late. midges are covering the boat and seagulls are all over feeding on the bugs, and they will lead you right to the fish. 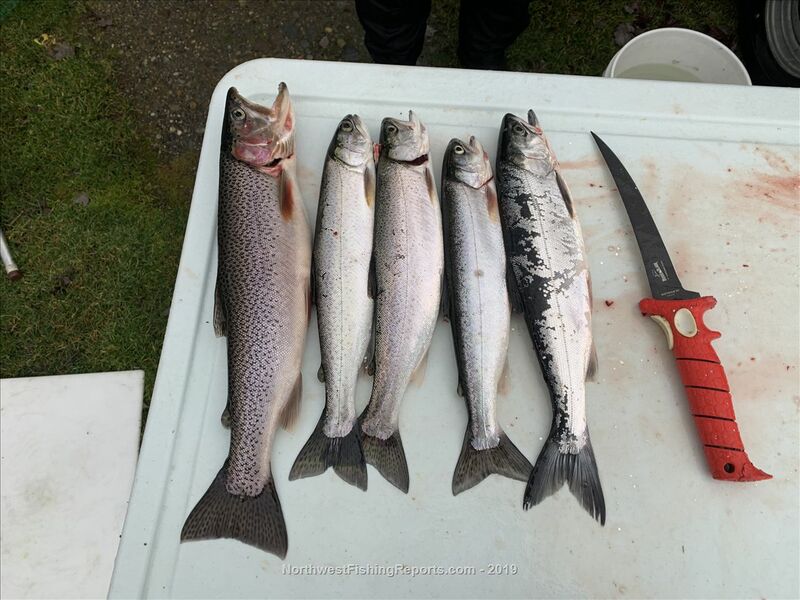 Offering private and small group fishing adventures on Lake Sammamish! Full and half days, multi-species trips. View other reports from FastActionGS. Yeah, not too many bugs yesterday. Good to hear it finally turned on. Did you see a lot of rising fish also like last week?